b. "Definition of trade secret." A trade secret may consist of any formula, pattern, device or compilation of information which is used in one's business, and which gives him an opportunity to obtain an advantage over competitors who do not know or use it. It may be a formula for a chemical compound, a process of manufacturing, treating or preserving materials, a pattern for a machine or other device, or a list of customers. It differs from other secret information in a business (see s759 of the Restatement of Torts which is not included in this Appendix) in that it is not simply information as to single or ephemeral (lasting for a brief time, transitory) events in the conduct of the business, as, for example, the amount or other terms of a secret bid for a contract or the salary of certain employees, or the security investments made or contemplated, or the date fixed for the announcement of a new policy or for bringing out a new model or the like. A trade secret is a process or device for continuous use in the operations of the business. Generally it relates to the production of goods, as, for example, a machine or formula for the production of an article. It may, however, relate to the sale of goods or to other operations in the business, such as a code for determining discounts, rebates or other concessions in a price list or catalogue, or a list of specialized customers, or a method of bookkeeping or other office management. "Novelty and prior art." A trade secret may be a device or process which is patentable; but it need not be that. It may be a device or process which is clearly anticipated in the prior art or one which is merely a mechanical improvement that a good mechanic can make. Novelty and invention are not requisite for a trade secret as they are for patentability. These requirements are essential to patentability because a patent protects against unlicensed use of the patented device or process even by one who discovers it properly through independent research. The patent monopoly is a reward to the inventor. But such is not the case with a trade secret. Its protection is not based on a policy of rewarding or otherwise encouraging the development of secret processes or devices. The protection is merely against breach of faith and reprehensible means of learning another's secret. For this limited protection it is not appropriate to require also the kind of novelty and invention which is a requisite of patentability. The nature of the secret is, however, an important factor in determining the kind of relief that is appropriate against one who is subject to liability under the rule stated in this Section. Thus, if the secret consists of a device or process which is a novel invention, one who acquires the secret wrongfully is ordinarily enjoined (prohibited) from further use of it and is required to account for the profits derived from his past use. If, on the other hand, the secret consists of mechanical improvements that a good mechanic can make without resort to the secret, the wrongdoer's liability may be limited to damages, and an injunction against future use of the improvements made with the aid of the secret may be inappropriate. 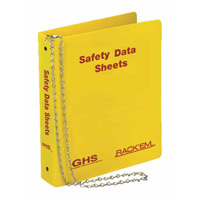 The official, public domain, OSHA version of this document is available at https://www.osha.gov/pls/oshaweb/owadisp.show_document?p_table=standards&p_id=10104.